Once upon a time yet to come, creatures of myth and fairy tale gained entry to the human realm and were expelled with extreme prejudice. Banished Underground, they carved out two kingdoms: the Lightworld of the Fae and their kin, and the Darkworld of demons, werewolves and their ilk. But the boundaries between these Worlds and the Upworld are about to be redrawn...in blood. At a Lightworld royal gala, Queene Ayla announces the betrothal of her daughter, Cerridwen, to a high-ranking councilor. Though strategically brilliant, the engagement comes as a shock to Cerridwen especially. Infuriated by her mother's high-handedness, ignorant of her own true origins, she flees the court leaving herself vulnerable to those who would see the Lightworld destroyed. Amid burgeoning unrest, desperate desires become divided loyalties and terrifying mercenaries lurk in the shadowy space between rebellion and anarchy. Cerridwen has always been treated like a child, rather than the Princess of the Lightworld. Her mother, Queene Ayla forbids contact with those of the Darkworld, but keeps a Darkworlder as her personal Royal Consort. Cerridwen can't understand how her mother could be such a hypocrite, and this is just one reason why she rebels repeatedly. Queene Ayla refuses to inform her daughter of her true origins, but only for her own safety. When she chooses to betroth her daughter to her highest-ranking counselor, Cerridwen sees this as the last draw. She packs up a few necessities and flees the Lightworld, and runs straight into the arms of the Darkworld, the most dangerous place in all of the Underground. When first reading this book I couldn't decide whether I truly enjoyed it as much as Queene of Light, the first in the series. The main character, Ayla, was molded to fit her royal status, and lost a lot of the things I liked about her, or so it seemed. Her daughter, Cerridwen, only seemed to be a selfish brat, or in this case, a perfect example of a royal princess. The only character that I seemed to continue to enjoy was the Royal Consort, Malachi. Instead of throwing this book to the side I pushed on, and was greatly surprised to find out that I just needed to wade through the beginning muck to find the beautiful story at the end. Despite my conflicting emotions toward this book, I found I ended up really enjoying it, especially the way the world is described so vividly. I actually felt like if I turned around I would end up in the beautiful city of the Lightworld, or in some cases, being chased through the tunnels of the Darkworld by a blood thirsty demon. While others have reviewed this book and said that they clearly don't believe it should be marked as a romance, I beg to differ. There isn't a huge amount of romance involved, but there is an underlying tone of it, and if not for that little bit, this story would be bland and have little meaning. The love between these characters is what pushed them to do the things that they did, if it only caused a war in the process. I'm looking forward to reading the last installment of this trilogy, Veil of Shadows, to see what other kind of adventures these creatures of the Underground have to tell. If you have yet to read the first installment in this book, Queene of Light, please read my review here. 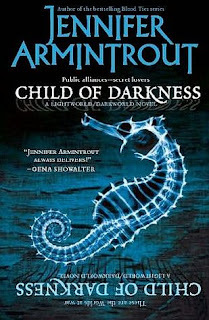 I received my copy of Child of Darkness by Jennifer Armintrout from my best friend as a gift. Clicking on the cover and title links of this book will redirect you to Amazon.com. If you choose to purchase Child of Darkness after clicking on these links I will receive a small percentage of the profits. Wow - this one looks so wonderful! I've never heard of this series before but it sounds intriguing and interesting. I really want to read this series now. Thanks for reviewing it!!! Sheila - It is! Trust me on that one! This series by Jennifer Armintrout is probably my fave out of the two she has written. 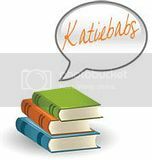 Book Monster - I hope you do give it a try, and if you do, please come by and let me know what you think!